When it comes to prefabricated modular buildings, many people are skeptical about their ease of installation and how they will actually work for them. Many people believe that nothing can replace an actual building. However, it is time these speculations are put to rest. The reality is that modular buildings are an exceptional replacement for a regular building. Many times, companies need extra space or rooms that are separate from the rest of their space. This is where metal modular buildings come into the picture. When you purchase one of our metal buildings for sale on our site, you are getting the absolute best alternative to expanding your actual business that you can get anywhere. Whether you have an industrial, commercial or military need for modular building panels, you will find the building that you need on our site. At Panel Built, we make it easy to buy and install modular building systems. 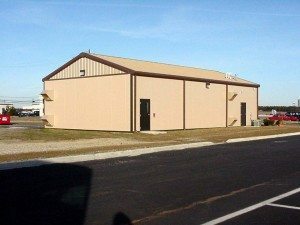 In fact, our industrial modular buildings are much easier to install and are much easier on the wallet than adding an addition to your building. The great thing about our modular buildings for sale on the site is that they can easily be set up in less than a day and can be easily taken down or moved. This is great for companies that are mobile, such as construction companies. After purchasing your panel built metal building, you will be amazed at how easy it is to install and begin using your new building. Installation of industrial modular buildings online for sale could not be any easier. Many of our modular buildings are pre-assembled, which means that there is no real installation and construction that needs to be done. When your modular building arrives on-site, there is no need for any construction when it gets there. This means that there does not have to be any down-time in your business because of additional construction going on. Whether you buy an interior and exterior cheap modular buildings for sale online, they will all be pre-constructed and installed before being brought to you. Also, no matter what size modular building that you order, it will be moved via a crane or a forklift into your desired location. If there ever comes a time that you need to move your best available metal buildings online, the buildings will be able to be moved by a crane or a forklift with their easy-to-use attachments. Once the building is set into the place that you would like it to be, it will be ready for use immediately. There is no need for setting up an HVAC system for the building as all of the necessary wiring will already be installed at the factory beforehand. Although all of our modular buildings are panel-built and pre-assembled at the factory, that does not mean you do not have the option to adjust and add to your new building. There are many different things that are possible to add to your building. For one, you can include machine or equipment enclosures. This is great for if it’s necessary due to safety reasons or if you want the building to have more than one purpose, such as a meeting area. Next, you can also get a material storage unit. This type of modular building is a bit smaller but works great for any type of material that you may need to store in your modular building. It is also possible to have a consultant space within your modular building if that is something you require. Another great attachment that we offer in addition to your new panel-built space is guard or watch towers. This is great for a wide variety of companies, including prisons. Watch towers can be useful for any type of business/building that is high-security, such as government buildings/offices. You can also get attendant booths as one of our attachments, which can be used as gate keepers in the front of neighborhoods, offices and so much more. Having an attendant booth for your security guards is a great way to protect your guards and help your property feel much more secure. Also, keep in mind that you can get interior modular buildings, as well. This is great for those who want to create additional offices for their building, but renovating the actual building would be too much work. You are able to add walls without messing with the building’s structure, at all. When it comes to where to buy metal buildings for sale online, you probably look for the cheapest price. We at Panel Built want to give you the best, most affordable price on your new modular building. Adding to your company is never a small feat and additions can be tough on the wallet. However, the great thing about prefabricated buildings are that they are extremely affordable. However, beware of companies that sell prefabricated modular buildings at a severely discounted price. These are usually not the best quality and you may have a building that is falling apart and does not do the job you require of it. Instead, get a company (like Panel Built) that specializes in these sorts of buildings and get a quality that you deserve as a business owner.